In the past days I have updated the firmware code, introducing support for nanoDrum, I published the latest version of the firmware picoMIDI for MIDI-USB, and the schemes of nanoDrum. picoMIDI is also compatible with the microDrum so if you want to use in order to create your MIDI-USB adapter with a ATTiny4313 , you can do it using the code on GitHub. 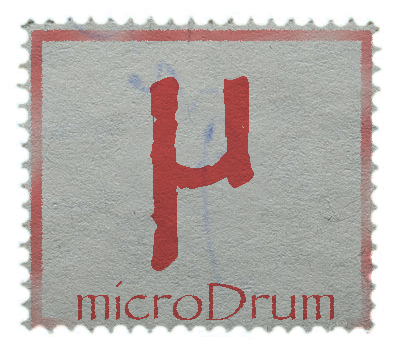 I lost time to make this version of picoMIDI because I wanted it to be compatible with the STK500 protocol, so you can upgrade the firmware of nanoDrum (or microDrum) using MIDI system exclusive messages. This (nanodrum.syx) is the firmware nanoDrum ready to be sent via MIDI, unfortunately, some commands require a short latency between a message and the next (about 200 milliseconds), the software that I used to do the test allows you to specify a unique range for all messages, this slows the upload of the firmware (about 30 minutes). I hope soon to find a solution to make the upload faster.